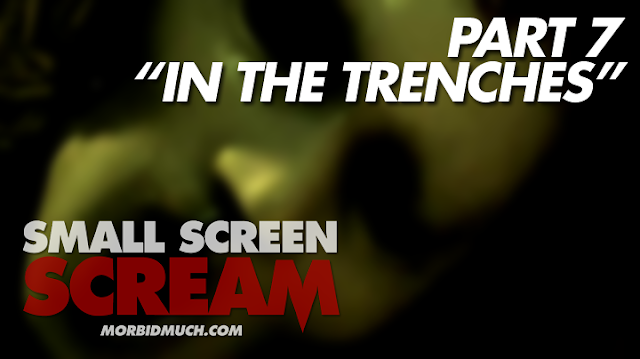 SCREAM -- S01E07 -- "In The Trenches"
...with the killer staring at him. We then find ourselves at Emma's house with her mother preparing dinner for herself, Sheriff Hudson, Kieran and Emma. She's tells Emma dinner will be ready at seven. 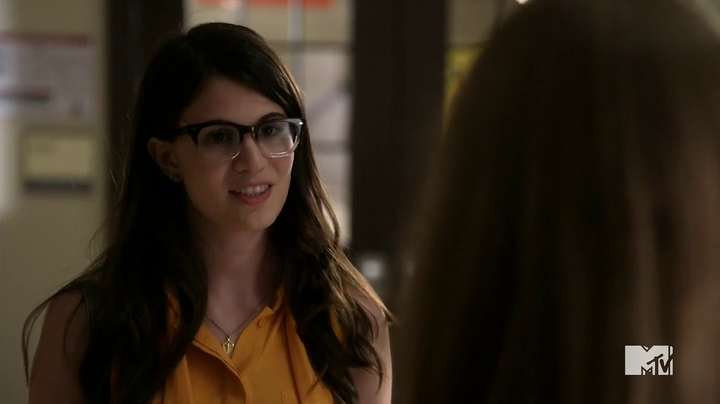 Emma abruptly changes the subject and asks her mother why her father left. She tells her he couldn't live with it. 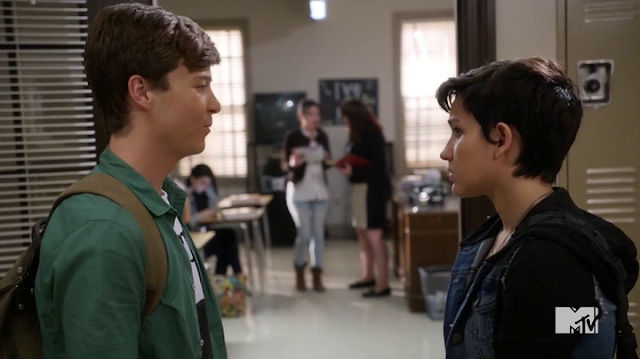 Kieran gives Emma a ride to school and they joke about their Brady Bunch-esque relationship. 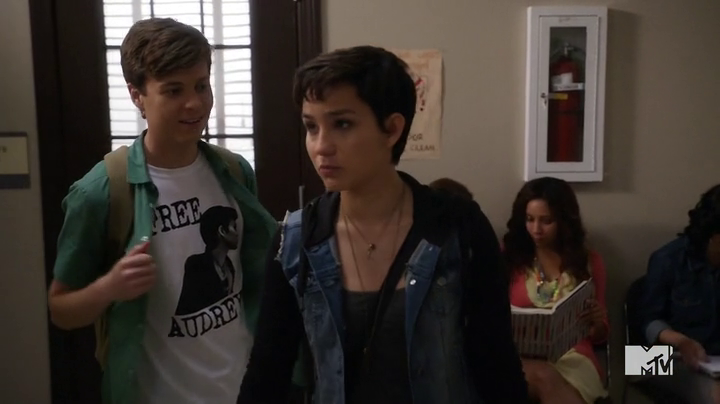 Noah welcomes Audrey back to school in a pretty cool way -- by rocking a "Free Audrey" t-shirt! The two discuss her short stint in the slammer and then quickly change the conversation to Mr. Branson. Noah explains that Mr. B's history is clean and it's odd that he's not at school today. His class has a substitute teacher -- and Noah jokes, "The subplot thickens." And Jake and Brooke further discuss her father's wrong-doings...coming to no clear conclusion(s). 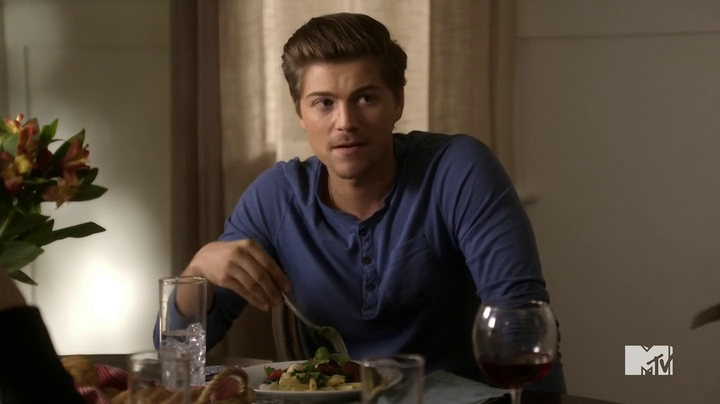 Just as Brooke is telling Jake that her dad come home last night, Emma walks up and asks either of them if they've seen Will because he's missing. For now, the pieces are adding up. And then Piper shows up. "We need to talk." Piper takes Emma, Jake and Brooke to the garage where Will was abducted. Jake comes clean about his and Will's involvement in the blackmail. 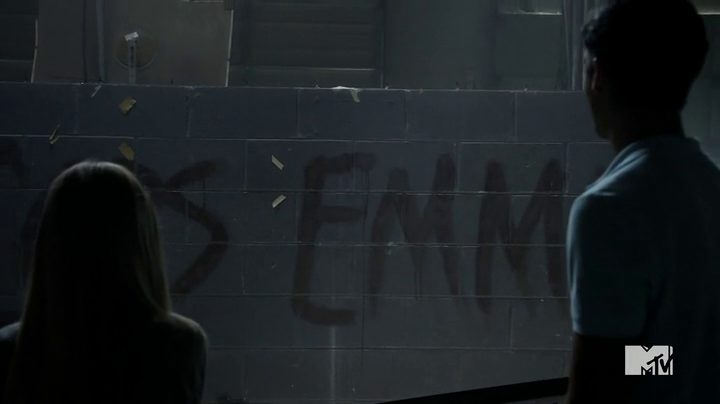 Piper tells them what happened and shows them a message she found -- "NO COPS EMMA." 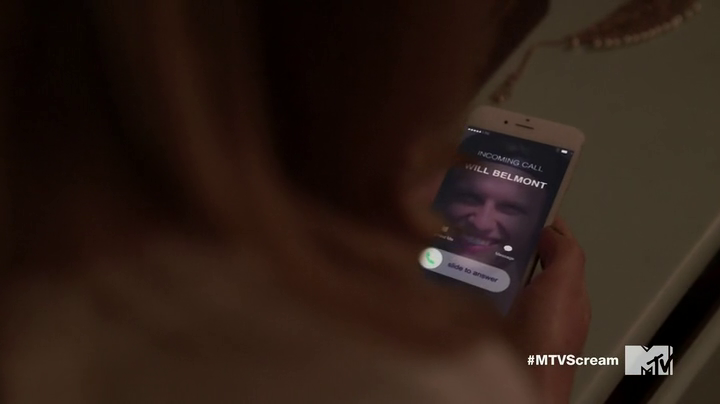 Emma's phone rings. First she hears a distressed Will. And then the killer. He wants to play hide and seek. Brooke storms into her father's office and confronts him about Will, the blackmail and the video. 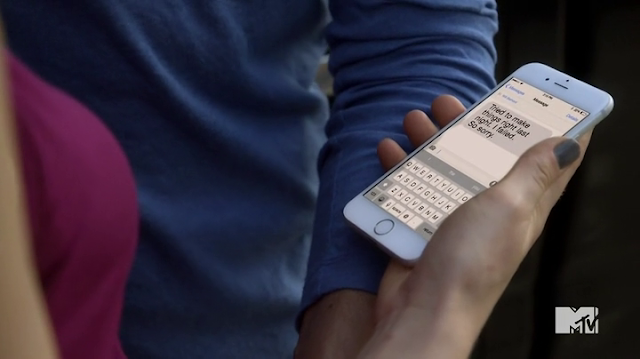 Noah gets a GPS location on Will's phone and the four of them plan to track it down and find/save Will. The group shows up at an old abandoned bowling alley where Will's GPS signal is emitting. Brooke and Jake go one way, Noah and Emma go another, looking for a way in. Meanwhile, Kieran is having dinner with Emma's mother and his dad. Awkward, to say the least. Hudson explains how Brock is off the case. Maggie asks Kieran how he likes Lakewood so far. "It's nice, except for all the murders," he replies. 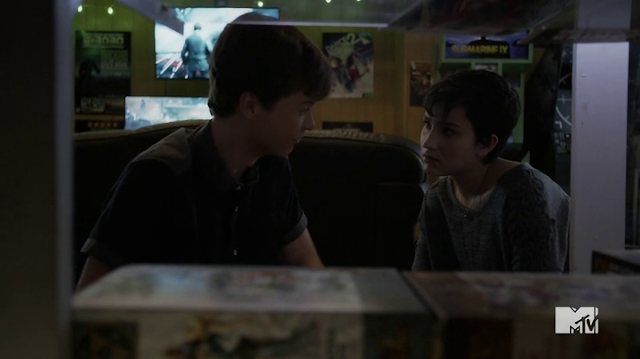 Emma and Noah finally get into the alley. And Brooke and Jake follow soon after. But again, the two pair split up again. Noah is suspicious of Jake. Jake later brings up Brooke's rendezvous with Seth Branson. She tells him it's over. 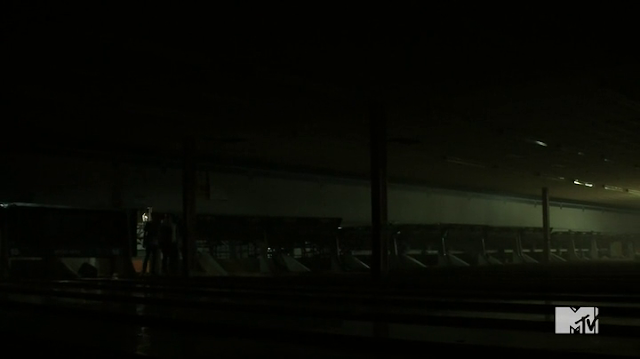 Brooke gets left alone in front of the lanes while Jake goes and finds a restroom (or whatever). And wouldn't you know it, the killer finds Brooke. But she manages to escape. In fact, the killer doesn't even pursue her. 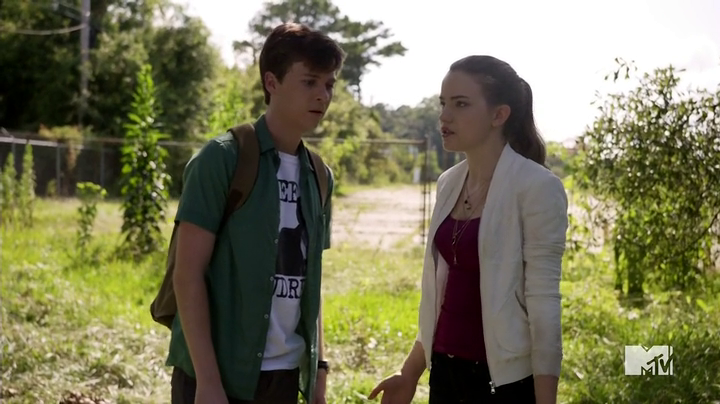 Emma and Noah finally find Will, strung up, but alive. 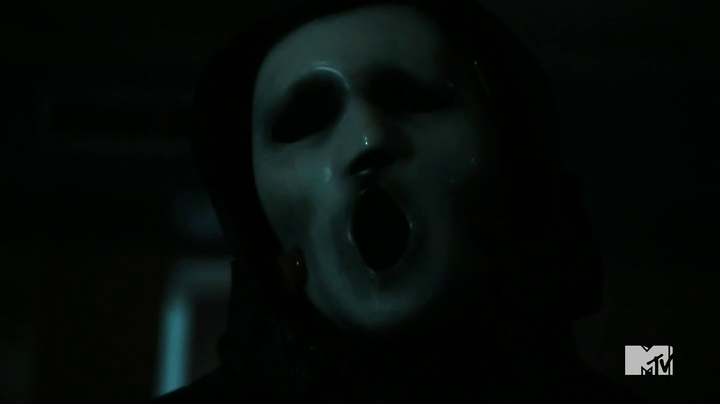 Brooke makes her way them, "The killer's here." Audrey calls Noah -- he tries to tell her what's going on and where they're at, but the signal is poor. 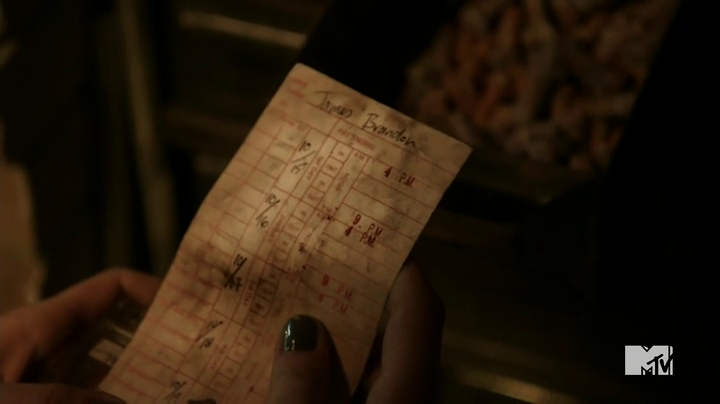 Emma finds Brandon James' old time card and discovers that he used to work at the bowling alley. She also finds a cassette labeled "PTSD Project" with her dad's name on it. Emma listens to the tape is learns that her mother slept with Brandon James and her father couldn't deal with it. In a hissy-fit, Noah opens the door of the room they've locked themselves in and the killer is standing there. A short follows and then Brooke and Noah escape through a back entrance. Brooke finds Jake with a knife sticking out of his chest, but he's still alive. Emma's goes looking for Brooke but is surprised by the killer. Will rushes the killer and tackles him to the ground, but the cops show up and the killer vanishes through a back door. Kieran shows up seemingly out of nowhere. Hmm, a little too suspicious if you ask me. The next day (presumably), Emma gets a call from Will asking her to come over. She agrees. Meanwhile, at Nightmare Level (Noah's work), Noah jokes to Audrey about how he lost his weapon. He fashioned a knife to the end of a broom handle. 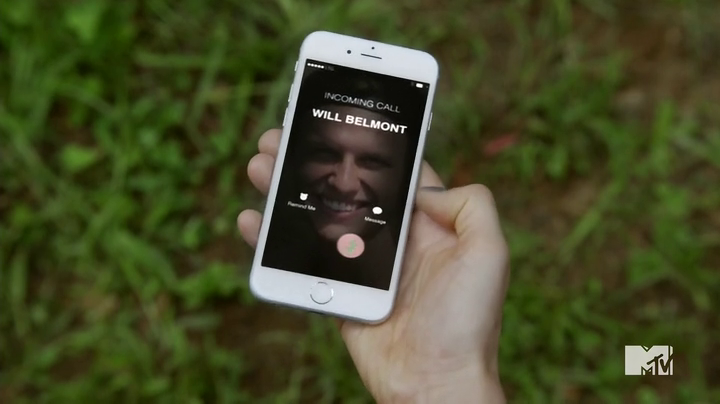 Just as Emma arrives at Will's house, she get's another call from Will. Only it's not Will, it's the killer -- daring her to keep playing his game. She runs to the back yard. 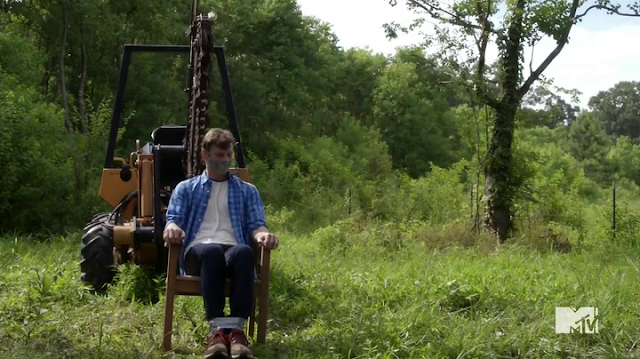 She finds Will bound to a chair, with a piece of farm equipment slicing inches above his head. Emma rushes to help, but by doing so she accidentally trips a lever that lower the blades. Will is dead. Easily the bloodiest death in the show thus far. And hands down the best episode so far. 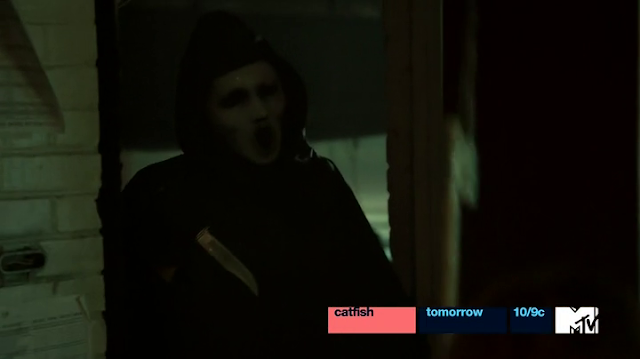 Next episode: S01E08 -- "Ghosts"